From historic old towns and fairytale castles to rolling countryside and craggy coastlines, the beauty of Scotland and Ireland awaits you with this luxury private tour of Scotland and Ireland. Offering both Self-Drive and Chauffeur Driven experiences, you will embark on a truly enchanting Celtic journey. Exploring these two great Celtic nations you will encounter our charming locals as you travel through our epic landscapes and rural farmlands, giving you an authentic taste of Irish and Scottish life. Visiting historic sites along the way that will take your breath away. Staying in the most elite 5 Star properties we have to offer, you will indulge in gastronomic delights and enjoy exquisite service throughout your trip. Our meticulously planned trips ensure you have the best experiences and create memories that will live with you forever. 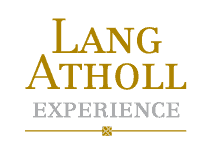 You will be greeted by a Lang Atholl Experience representative once you have arrived into Edinburgh. They will be there to assist you with any luggage and to ensure you are prepared to begin your luxurious Scotland and Ireland Road Trip. You will then be transported to The Balmoral Hotel, one of Edinburgh’s most deluxe and impressive 5 Star hotels. Situated in the heart of Edinburgh providing guests with the most remarkable sights of the city. Your morning will be spent mostly recuperating from your travels to Scotland. You will also have the chance to explore Edinburgh’s most significant sites with a city tour in the Afternoon. Walk through the historic streets of the old town, visit the famous Edinburgh Castle, all the way down to the Royal Holyrood Palace. In the evening you will have the pleasure of dining at one of Edinburgh’s best restaurants, Paul Kitching’s 21212. People have raved about this restaurant since opening in 2009 which then gained a Michelin Star in 2010. Here you will enjoy exquisite fine-dining combined with their outstanding service to ensure that your first evening in Scotland is one which will be remembered. You will wake from your spectacular evening in Edinburgh to a relaxing morning being served breakfast in the stunning city. You will begin your day by visiting, Rosslyn Chapel on the outskirts of the city. Built in 1446, its unique and mysterious carvings and the beauty of its setting make Rosslyn Chapel a must visit attraction. The Chapel was was originally built as the Collegiate Church of St Matthew and was most recently used as one of the locations for the film, “The Da Vinci Code” (based on the bestselling book by Dan Brown). Following this, you will take a short journey to Blackness Castle, a castle built by one of Scotland’s most powerful families in the 15th century. Not only is it filled with history it has been seen in many famous films and TV programmes over the years. To finish, you will visit Scotland’s finest stately home, Hopetoun House. You can explore the House and take in the stunning architecture and arts exhibited within. Your accommodation for the evening will be in the historic seaside town of St Andrews. The Old Course Hotel has stunning views over the famous links courses accompanied with the West Sands Beach. The impressive award-winning hotel is also recognised as one of Europe’s leading resorts. You will not be short of places to eat with The Old Course Hotel offering six exclusive dining and drinking experiences to choose from. Take in the beauty of St Andrews and enjoy a peaceful evening at the spectacular hotel. After saying your goodbyes to St Andrews, you will begin your day visiting the V&A Dundee. It is a magnificent museum dedicated to design providing a place of discovery and inspiration. After exploring the museum you will shortly enter the Cairngorms National Park, home of dramatic mountains, winding rivers and an array of wildlife. Hidden in the National Park is Caithness Castle which is a 5-star attraction which greets guests from all over the world. Along with that you will also visit Balmoral Castle where you can discover the castle and the grounds. Your hotel for the night will be at the unique and artistically restored, Fife Arms. Is it located amongst the breath-taking landscape of the Cairngorms National Park. Each of the guest rooms have been exclusively decorated to ensure that it tells a story of a place, local person, theme or event. Speyside is known as whisky heaven and is the most famous whisky regions in Scotland. You will have the opportunity to tour some of Scotland’s most famous and finest distilleries during your journey in the striking area. Along with the distilleries, you will also have the chance to explore and discover the famous historic sites of Culloden Battlefield and Cawdor Castle. Two of these being truly significant sites in Scottish History. You will soon arrive into the city of Inverness and then arrive at The Rocpool Reserve Hotel. It is a discreet boutique hotel which offers guests 5 star luxury. It is suitably situated in the heart of Inverness in an attractively renovated Georgian manor house which has striking views over the River Ness. It is also home to a Chez Roux restaurant where you will experience a comforting atmosphere accompanied with the delicious dining options which you will served. Located on the shore of Loch Ness is the village of Drumnadrochit – a famous spot for people hunting for the famous Loch Ness Monster. Here you will take a cruise on the well-known Loch and take in the gorgeous scenery. You will also have the chance to discover Urquhart Castle and experience a hint of medieval life and spectacular views. Later, you will drive through both Fort William and the majestic Glencoe where you will have the opportunity to stop off and take in the two extraordinary locations in Scotland, ones which cannot be missed. You will arrive onto a private island where you will discover the Isle of Eriska Hotel located on the west coast of Scotland. The 300 acre island provides beautiful views over Loch Linnhe and the outstanding Morven mountains beyond. In the morning after your memorable experience staying on a private island, you will go to McCaig’s Tower which is a prominent landmark in Oban. It will provide you with striking views over Oban Bay to the Atlantic Islands. You will then arrive at the truly stunning Loch Lomond and The Trossachs National Park which you will find at the heart of the park the famous Loch Lomond itself. You will have the chance to have a spot of lunch at the water’s edge where you can appreciate the landscape around you. Just at the other side of the National Park you will arrive at Glasgow, a truly vibrant and thrilling city. You will have the chance to explore some of Glasgow’s must see spots such as Glasgow Cathedral, The Gallery of Modern Art along with The Kelvingrove Art Gallery. Your last visit of the day with be to Culzean Castle and Country Park. A remarkable cliff-top castle which is enclosed by rich wildlife. You will be staying at the exclusive Glenapp Castle, a truly hidden place. They are recognised for providing splendid service which allows guest to feel special during their stay. It is surrounded by their beautiful gardens, forest and seascapes. In the evening you will experience fine-dining at Glenapp’s award winning restaurant serving courses with flair and authenticity. Nearing the completion of the Scotland leg of your tour, you will head to Glasgow Airport, to enjoy your next 8 nights in Northern Ireland and Ireland. This day will predominantly travelling over to Belfast. Depending on your preferred method of travel you can take the Ferry over or take a short flight from Glasgow Airport. Once you have arrived into Belfast you will have the chance to explore and take a tour of the capital of Northern Ireland. In the heart of Belfast you will be staying at the 5 star Merchant Hotel. It is both elegant with a modernised twist. It provided guests with an array of amenities along with panoramic views over the city. After your departure from Belfast you will travel to Ireland’s northern coast and to the famed Giant’s Causeway, Northern Ireland’s World Heritage Site. En-route to the Giant’s Causeway you will pass through Ballymoney where you will pass under the iconic Dark Hedges. This beautiful avenue of beech trees was planted by the Stuart family in the eighteenth century and is now one of the most photographed natural phenomena in Northern Ireland. Arriving at the Giant’s Causeway you will see the simply exceptional natural structure made from large hexagonal stone pillars rising from the sea. After exploring the Giant’s Causeway you will have the chance to visit Dunluce Castle. The iconic ruin of the castle has been a witness to a lengthy and tumultuous history. You will drive into the town of Derry/Londonderry which has seen a turbulent history up until recent times. You will take an afternoon tour of the town gaining knowledge about the countless complications this historic border town has faced during the years. You will then arrive at The Bishop’s Gate Hotel which is effortlessly located in the historic city’s walls in the centre of Derry/Londonderry. It is an exquisite Edwardian structure with deluxe facilities and immaculately decorated. You will cross the border from Northern Ireland into the Republic of Ireland. Where you will come across the town of Letterkenny and St Eunan’s Cathedral. The Cathedral was very important during the Penal Times in Ireland when the English Rule tried to force the Protestant Faith on both the local Roman Catholics and the local Presbyterians. The Cathedral held the high point and served as a lookout for any Redcoats descending on the town. Today it is a fantastic viewpoint overlooking the full local area. You will continue through County Galway and into County Sligo, just outside the town of Sligo you will find the High Crosses at Drumcliffe. The only remaining features of a 6th Century Monastery originally formed by St. Comcille. The three remaining High Crosses are a sight to behold with fantastic detail well preserved until this day. You will travel from here into County Galway where you will find Glenlo Abbey your residence for the evening. It is nestled amongst the beautiful 138 acre estate on the edge of Ireland’s major lake, Lough Corrib. It is truly a luxurious place for you to base yourself for the evening to relax and take in the scenery. Adare Manor You will travel first into the city of Galway where you will be able to explore this quirky coastal city before travelling into Co. Claire where you will follow the Wild Atlantic Way Route along the coastline to visit The Cliffs of Moher. Continuing on you will pass through beautiful secluded small villages until you reach the city of Limerick and the nearby Adare Manor where you will spend the evening. You will arrive at Adare Manor a multi-award winning luxury hotel and holds everything which you look for in such a remarkable place. A valued heritage of Irish kindness has been concentrated into the spirit of welcome you feel as soon as you arrive. Adare Manor was a work of love from the very beginning, created to joy, amaze and impress. Experience a courteous evening of fine-dining by candle light in The Oak Room, where Head Chef Michael Tweedie’s tasting menu has captured the spirit of Ireland’s best artisan ingredients, combined with Head Sommelier Jurica Gojevic’s affectionately curated wine assortment. You will start your day by driving to Killarney. On route you will stop off at Dingle, a small town in Kerry which sits on the Atlantic coast. Here you will discover Eask Tower just outside Dingle Harbour and was used as a World Was II look-out post. You’ll have the opportunity to explore the Dingle Peninsula and take in the break-taking views. From here you will continue your travels to The Europe Hotel. The Europe Hotel is a five star hotel in Killarney which is attractively positioned overlooking the world famous Lakes of Killarney. The Europe Hotel & Resort is one of the leading luxury hotels in not just Killarney, but also in Ireland. You will have a relaxing afternoon and evening taking advantage of the hotel’s spectacular facilities whilst taking in the stunning scenery. You will explore Killarney National Park which is an area of rocky mountain country. This contains the McGillycuddy’s Reeks, the highest mountain range in Ireland which rise to a height of over 1000 metres. At the foot of these mountains settle the world famous lakes of Killarney. The Ring of Kerry is the Kerry tourist trail and part of the spiritual & pure section of Ireland that has fascinated and attracted visitors for hundreds of years and is part of the Wild Atlantic Way. Its extraordinary beauty is beyond question and it is a natural centre for outdoor pursuits. You will then return to The Europe Hotel for a further evening. You will begin your venture after a peaceful morning at The Europe Hotel travelling to Cork. Before entering the city centre you will visit Blarney Stone which is surrounded with myths and tales. You will then have the chance to explore the city of Cork. As your trip is coming to an end we want to make your last few days with us memorable ones. Waterford Castle Hotel and Golf Resort I located on an enchanted 310 acre private island. It is a true hidden gem on Ireland’s Ancient east. Here you will have a luxurious stay as they offer their guests the best of Irish hospitality with the most spectacular surroundings. The Shelbourne, A Renaissance Hotel On your last morning in Ireland you will start your Journey to Dublin, a city where great memories are forged. You will enjoy a tour of the city, taking in the great sights and the culture of the Irish. The hotel which you will be enjoying your final evening in will be The Shelbourne Hotel, a timeless landmark in the city. It is just minutes away from some of Dublin’s most famous sites and landmarks with stunning views over the city. It is known for its exquisite fine-dining and spectacular style. You will have a lovely evening relaxing and in the morning you shall depart for Dublin Airport.